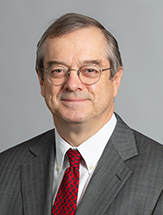 John authored the preeminent book on state Racketeer Influenced and Corrupt Organizations (RICO) statutes, RICO State By State: A Guide to Litigation Under the State Racketeering Statutes (American Bar Association, Section of Antitrust Law 2011 and 1998). He has also written numerous book chapters and articles on federal and state RICO. The challenges of successfully pursuing and defending RICO cases are considerable. John has handled these cases in federal and state courts on behalf of plaintiffs, defendants, and as a special prosecutor in cases that have attracted national attention. He recognizes and understands the challenges and opportunities that these cases present. John is a frequent lecturer and has served as chair of Georgia’s ICLE RICO Seminar since its inception. John is often asked to speak to prosecutors and law enforcement organizations on RICO, gang prosecutions and white collar crime topics. John also has extensive experience with cases under the False Claims Act. This has included cases on behalf of both relators and defendants, including a case that generated civil and criminal recoveries totaling $600 million. In addition to his RICO and False Claims Act work, John conducts internal investigations for institutional clients and represents plaintiffs and defendants at the trial and appellate levels in cases involving business torts, and professional liability. John is a Fellow in the Litigation Counsel of America, which is an invitation-only trial lawyer honorary society and represents less than one-half of one percent of American lawyers. Fellows are selected based upon excellence and accomplishments in litigation trial work and superior ethical reputation. Successfully represented a county school district in an investigation of fraud and waste in the construction and renovation of school buildings that resulted in recoveries and savings of several million dollars. Represented a putative class in a federal and Georgia RICO action involving the employment of illegal workers. Represented a publicly traded corporation and its subsidiary in an investigation concerning alleged receipt of stolen property. Represented a defendant accused of participating in a major theft ring; the case was settled at a relatively low amount, re-establishing a business relationship between the defendant and the plaintiff company, and insulating the defendant from a pending criminal investigation. Helped prosecute administrators and educators involved in cheating on standardized tests in the Atlanta School System. The case resulted in 21 guilty pleas, 11 convinctions (including 11 Georgia RICO conspiracy convictions) and one acquittal. Helped convict the former sheriff of DeKalb County, Georgia who ordered the murder of his elected successor; successfully defended the conviction in Georgia Supreme Court. Helped convict two faculty members at The Medical College of Georgia who stole over $10 million in research funds; recovered over 99 percent of the stolen funds. Represented whistleblowers in False Claims Act action against pharmaceutical company Allergan, Inc. for illegal off-label marketing of Botox for unapproved uses. Resulted in a $600 million global civil/criminal settlement, the largest in the history of the Northern District of Georgia. Represented a whistleblower in settling a case against a medical billing entity resulting in a multi-million dollar recovery by the United States. Represented a whistleblower in settling a case against a nursing home that resulted in a state-of-the-art corporate Integrity Agreement being imposed on the defendant. Successfully represented a defendant in an eight-year battle against a whistleblower who attempted to amend the complaint at least four separate times. Defeated every attempted amendment and won the case in the 11th Circuit, generating a new standard that has since been followed in several other circuits. Conducted several sensitive investigations on behalf of educational institutions. Represented a defendant in winning summary judgment on behalf of a major law firm using a novel legal theory and without taking any depositions. John Floyd gives presentation on "Identifying RICO - It May Be in Your Office"
John Floyd gives presentation on "Pleading a Civil RICO Case"